If you’re like most people, you’re wondering one thing right now: can stocks keep soaring following December’s nosedive—even after spiking 8% in January? To get at why I’m so sure, we’ll first go a couple steps further than headline-driven “first-level” investors do. 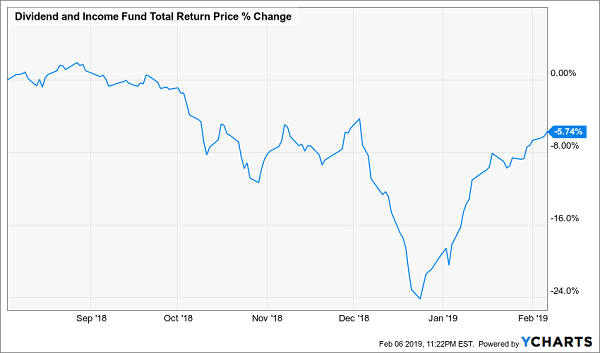 Then I’ll give you a way you could double (or more) your rebound gains thanks to a terrific closed-end fund (CEF) yielding 7.2%—and “spring loaded” for 35% returns this year. 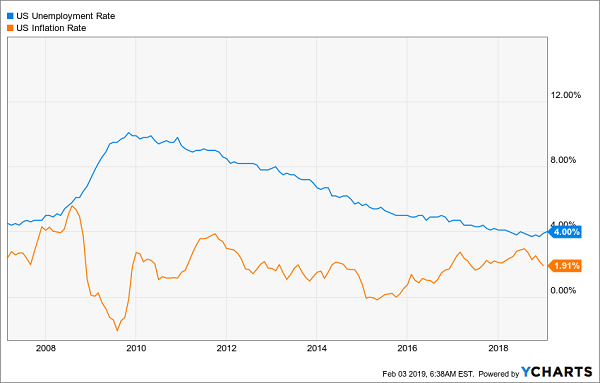 To get at what’s in store for the markets in 2019, we have to go back to 2009 and zero in on one thing: jobs. Because the crisis back then triggered a lost decade that only ended in 2017, when the unemployment rate finally got back to pre-crisis levels. Then something strange happened—unemployment kept falling. In January, payroll data rose to one of the highest levels ever, blowing away even the rosiest estimates. This has stumped many economists, because it’s normally a given that lower unemployment stokes inflation. But there’s a simple explanation for what’s happening today, and it comes back to folks who are unwillingly out of the workforce. 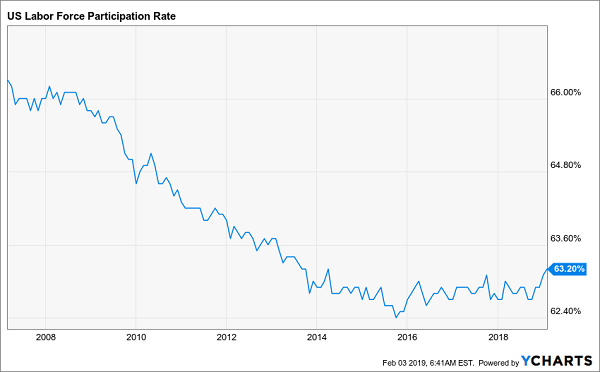 For much of the 2010s, the unemployment rate wasn’t falling because more people were getting jobs—it was falling because more people gave up on getting jobs. But workforce numbers flat-lined since 2015 and began rising in late 2018. In short, Americans who’d thrown up their hands are getting back in the game. That means inflation could be a risk in the future, when all those who left the labor force have come back, but we’re a long way from that. In sheer numbers, think of it this way: 66% of 306 million people were in the labor force in 2007. That’s 202 million men and women. We’re now down to 63.2% of 327.16 million, or 206.8 million people. Another way to think about it: in the last 12 years, our labor force is up just 1.6% while our population is up 6.9%. This is unsustainable: America needs more workers to keep up with its bigger population. This all means the market recovery will likely continue, because there’s too much demand for workers—and workers have too much money to spend—to cause a market hiccup. 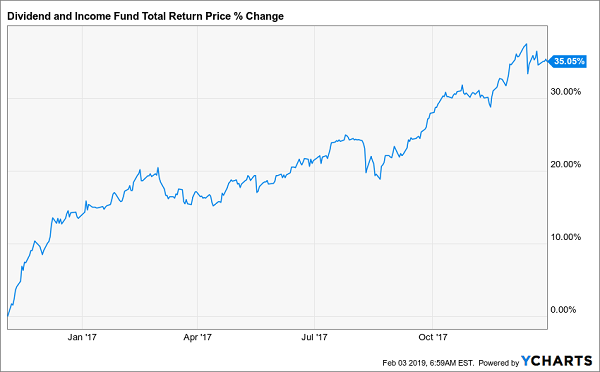 Better still, we’re at a rare time when you can buy stocks at a discount—and an even bigger discount is on the table for us, thanks to closed-end funds (CEFs). 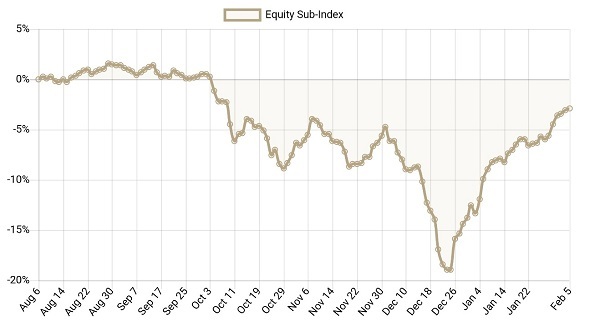 But as you can see, CEFs still haven’t fully recovered—and there’s still a big gap between their 2018 peak and where they are now, even though CEFs’ year-to-date recovery has beaten the S&P 500’s 9.1% bounce, with the CEF Insider Equity Sub-Index up 11.1% in 2019. That tells me that this could be another year where CEFs outperform, as they did in 2017. And they’re likely to do so for the same reason: they were oversold in the prior year. And since DNI’s decline in ’16 wasn’t as severe as in ’18, there’s a good chance this year’s return will be even bigger than 35%. 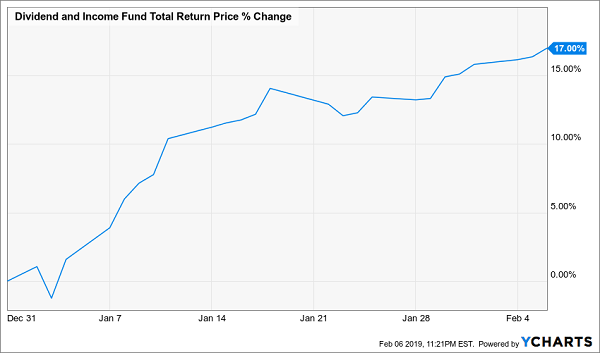 One reason why I’m confident is that the fund’s unusually large 23% discount to net asset value (NAV, or the market price of its underlying portfolio) means that, just to sustain that discount, for every 1% its NAV gains, DNI’s price will have to go up 1.3%. If the market wants to make that discount disappear, its price will obviously have to go up much more than 1.3% for every 1% of NAV gains. The kicker? 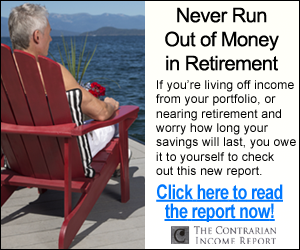 DNI yields an outsized 7.2% now, so you’re getting around 20% of your potential 35% return in cash here. Better still, DNI is far from your only choice: there are many other CEFs yielding as much or more than this fund and also look set to clobber the S&P 500. And these income wonders invest in similar top-notch (and cheap) US companies. I recently released my updated CEF “shopping list” for 2019—and today I want to share it with you. 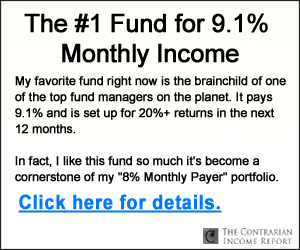 You can download this exclusive list, which gives you full details on 5 cash-spinning funds paying an outsized 8.3% average dividend, when you click right here. Because these 5 funds also trade at absurd discounts to NAV, so we’re looking at life-changing price upside of at least 20% to go with your 8%+ payout. And when you add DNI into the mix, you get the perfect “6 pack” of funds for the rest of this year—and beyond. To see what I mean, consider my No. 1 pick, which has manhandled the market with a 904% return since inception! Yet this unloved CEF is cheap today, trading at a totally bizarre discount to NAV (when it normally trades at a premium). The kicker? It boasts an amazing 9.8% cash payout! The name of this fund and the other 4 potent CEFs on my “must buy” list are waiting for you now. Click here to get full details—names, tickers, best-buy prices and ALL of my research—on these 5 incredible funds.